We asked 7 writers to create a 7-minute play each in 7 days with the theme of the Significant Other. We handed the scripts over to a director and a company of 2 actors and gave them 7 days to stage it. The result was The Significant Other Festival – staged just before millions of couples celebrated Valentine’s Day. By creating theatre in a confined period of time, we hoped to capture what real people thought and felt about love and relationships in the 21st century. Through this format, we were able to draw together a company of creative people from different backgrounds, and experience. The resulting mix brought us short snippets of love, lust, fantasy, hate, revenge, and passion. 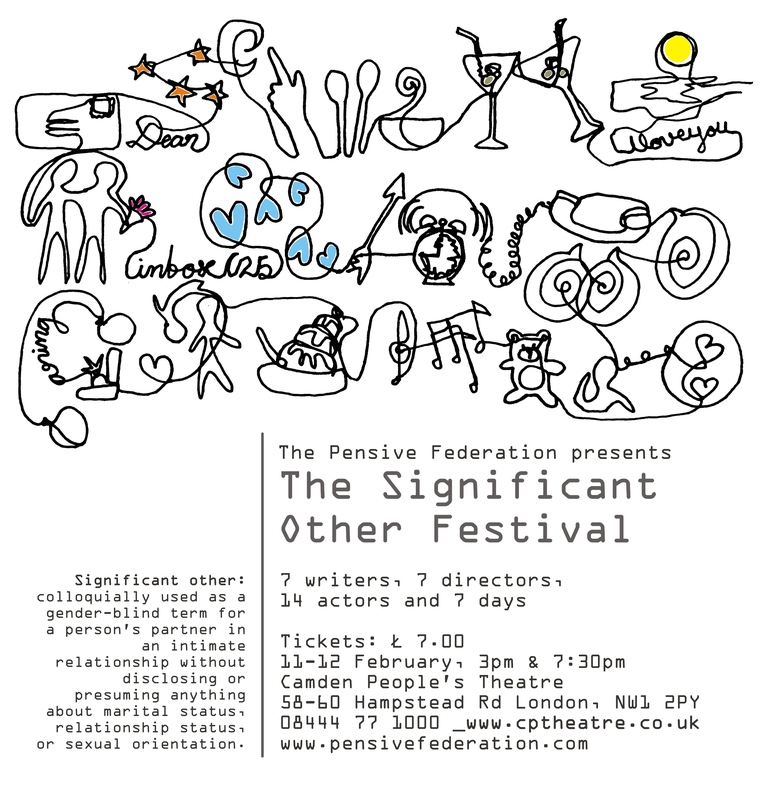 Produced by The Pensive Federation, the 2012 festival sold out prior to opening in February. They look forward to working on The Significant Other Festival #2 in 2013. Stay tuned for more details.